Hailey Baldwin and Emily Ratajkowski are often spotted wearing Solid & Striped's flattering swimsuits while on tropical vacations. Cut from sculpting stretch fabric, this 'The Claudia' design has a one-shoulder neckline and generous cutout that highlights the narrowest part of your waist. 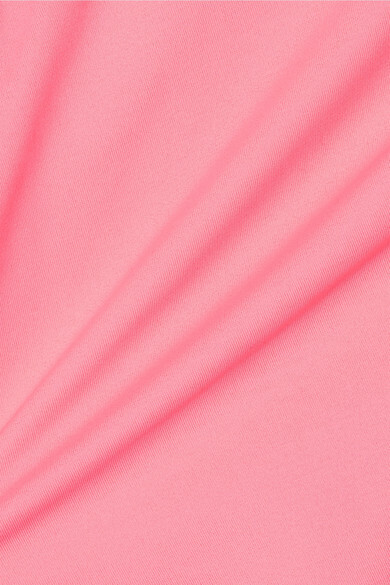 The 'Flamingo' pink hue is the perfect complement to sun-kissed skin.